Last Friday night was a typical weekend night for us. Our 13 year old was headed to the movies with a friend, and our 11 year old had 2 friends over for dinner. The three girls were thrilled with the idea of take-out pizza for dinner, although my husband and I were less excited. To please everyone, we ordered pizza for the girls and decided that the adults would enjoy some munchies later. After a day of work and an evening of bringing different kids to different places, we wanted appetizers that were simple to prepare. We had a package of chicken andouille sausage in the freezer that we could grill and serve with some homemade sweet and sour sauce for dipping. We wanted another finger food to balance the spiciness of the sausage. Using fruit and cheese seemed like the perfect compliment. Sure, we could have made dinner very simple by serving cheese, crackers, and fruit, but it was Friday night, the start of the weekend. 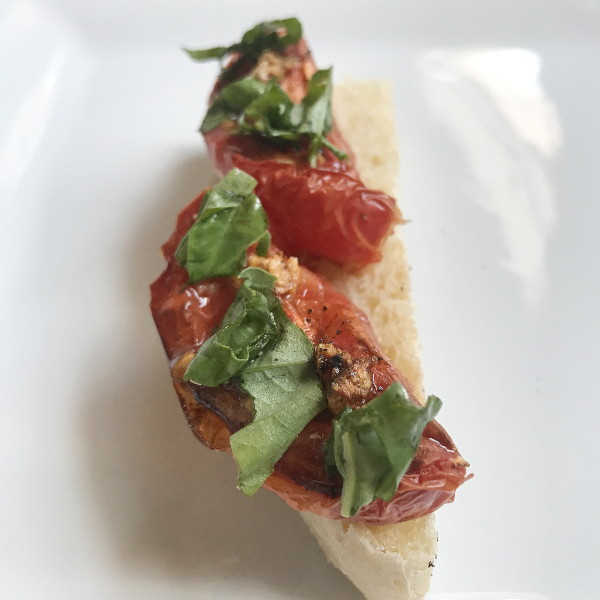 So, with just a couple minutes more of effort, we made a warm appetizer that was appealing to see and eat by combining goat cheese and nectarines. 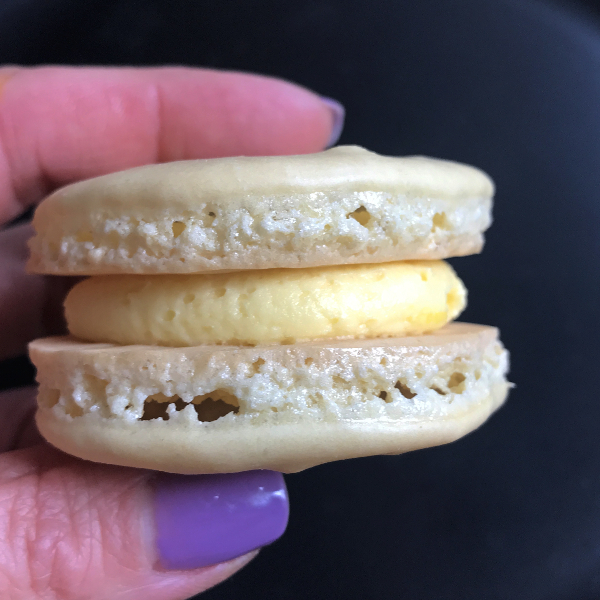 While nibbling on this snack (and after having taken photos), we decided to make a few additions of flavor. This dish rounded out the palate quite nicely with an assortment of flavors. Spray 9-inch pie plate with nonstick cooking spray. 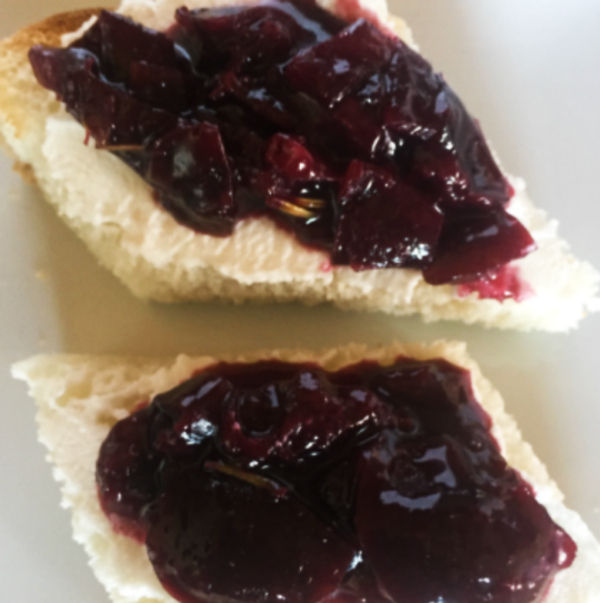 Slice goat cheese into 1/4-inch pieces. Place in pie plate. Sprinkle a small amount of black pepper on each slice. Top goat cheese with pieces of nectarine. Bake for 5-7 minutes, or until cheese is warm and slightly melted. 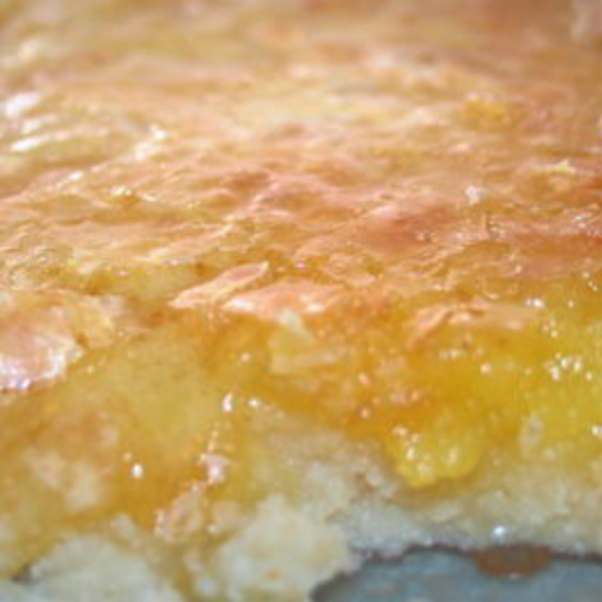 Remove from oven, and drizzle a small amount of honey on each slice. Serve immediately with pita chips, crackers, or bagel chips. This looks great. 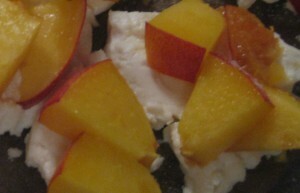 The goat cheese pairs so well with the nectarines!